This post contains affiliate links. This means that if you click through and decide to make a purchase, the price you pay stays the same, but I might receive a small commission that goes into helping me keep the blog running. Thank you for your support. So you've done your 30 days of AIP, the elimination stage. Your autoimmune symptoms have subsided a little. Now what? Think you're supposed to live on seafood, fish, meats and leafy greens forever? Well, obviously not. You have to start adding foods back in. The lovely Eileen from the blog Phoenix Helix invited me to have a look at her e-book, all about reintroducing foods on the AIP. It works like this. You cut out a LOT of foods and live for at least a month (or until you see improvement in your condition) on a very restrictive diet. No seeds, nightshades (that includes spices) - no dairy, no refined sugar, no nuts, no eggs, no gluten, no grains... you get the picture. All this is supposed to calm your body down and reduce any symptoms of autoimmune disease that you may have. But you can't live on a restrictive diet like that forever. So pretty soon, you have to start reintroducing these potential 'trigger' foods back in to see if they affect you personally. I can tell you from experience, that reintroducing any of these foods back in can be quite stressful - the last thing you want to do is have a flare-up - but then you'll never know if you'll ever be able to have omelettes for breakfast again. Eileen talks about how to go about reintroducing these foods - giving lots of good and helpful tips like how to keep a food diary and in which order to reintroduce (that's important). She talks about her own personal AIP journey (it's been a success!) and also features recipe ideas for reintroducing these foods when the time is right, as well as how to notice if that food has caused you some grief. The recipes are accompanied by beautiful, clear photos and a down to earth, positive approach that puts you at ease. It's quite a complicated thing to do, reintroductions, as some foods are from the same 'family' but as Eileen says, they react differently in the body - which explains why I can eat cocoa happily but get quite ill if I have half a cup of coffee (they're both seeds). 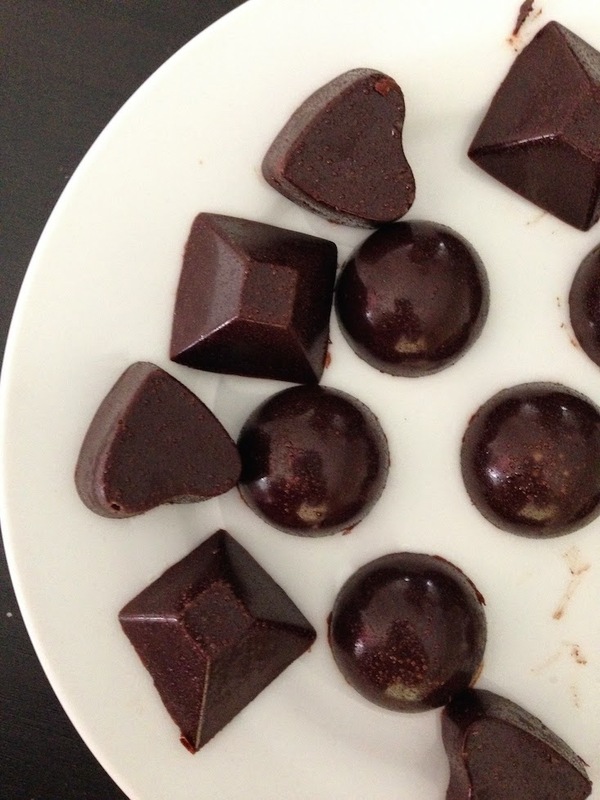 Alongside recipes for Hollandaise sauce, curry blends and dips, there's an absolutely awesome recipe for AIP chocolates (with added cocoa as the reintroduction). They're soft, a little bit chewy with a truffle-like texture. And they're very easy to make. My children LOVE them. And they're pure and good for you. I love them. This book is a great resource for anyone wishing to find out more about AIP and solves the problem many people have of 'what's next?'. There's often a misconception that you're supposed to stay on the elimination stage of AIP for ages, but you should reintroduce foods when you see an improvement in your symptoms, for better nutrition and health. To find out more or buy your own copy of Eileen's e-book Reintroducing Foods on the Paleo Autoimmune Protocol, Click here to view more details.